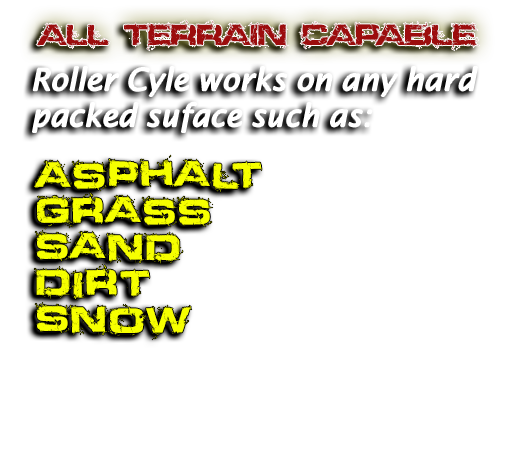 Rollercycle motorized for use with inline skates. The Personal Power Accelerator. 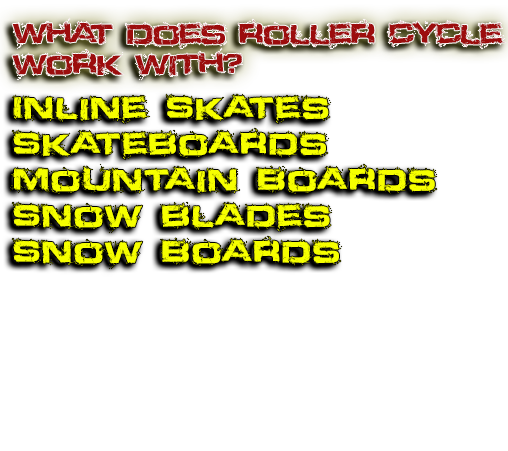 Roller Cycle is a personal power accelerator that propels you safely up to 25 mph on inline skates, skateboards, mountain boards, a`nd just about anything you can strap to your feet. Thank you Duke Dillinger for coming out to do this piece. It's excellent! In This video, Greg talks about two different electric roller cycle models. The Electric Roller Cycle demonsrated by Greg in this video has two litium ion batteries and an e-tech motor. This model is very quiet and little sound comes from the the engine. THE PRICE OF THE ROLLER CYCLE IS $1199 Plus Shipping & Tax where applicable. We ship only to United States & Canada, possibly South America. Our gas model cannot be shipped to the EU. Sorry. Click here to buy with Pay Pal.